I have had the opportunity to partner with Futures Health and Education on a number of projects over the past few years, the most recent of which when I hired Futures to do a total evaluation and analysis of the entire special education program in my northern MA suburban city of over 6,000 students. Futures and its people were top-notch professionals, extra-ordinarily competent in their field of expertise and outstanding in their ability to build relationships and elicit good information by putting folks at ease. The final product was well received by the school committee, the public and, most especially, the staff, and the cost was competitive and affordable. Most importantly, Futures is built on a rock solid foundation of high character, integrity and honor, and the professionals who run the organization are as trustworthy as any I have ever known. While serving as the Associate Superintendent for Wayne Regional Educational Service Agency (Wayne RESA), an intermediate school unit in southeast Michigan, we were constantly looking for ways to continue the highest quality student services while decreasing costs to our constituents. Bringing in a team of professionals from Futures Education provided the excellent review of programs, staff, services and costs needed to accomplish our goals. At the time Wayne RESA was responsible for funding services for over 8,000 students with severe and multiple disabilities in programs operated by 16 districts and serving 33 local school districts including Detroit and over 100 public school academies. A review and comparison of the variety of different approaches, staff ratios and cost factors across all programs and operating districts by the comprehensive team from Futures lead to a cost savings of over $5 million dollars without any decrease in services to students. Specific emphasis was placed on strengthening student achievement levels, providing entrance and exit criteria for support services including physical, occupation and speech therapy, containing cost increases and maximizing the effective use of resources including staff, facilities and local, state and federal funding and standardizing administrative support. The analysis utilized by the Futures team focused on four critical areas: Student Achievement, Legal Requirements, Staff Utilization and Fiscal Responsibility. With this analysis in hand we were able to move forward in a positive manner with both short and long term savings and goals. The comprehensive report and analysis provided by Futures allowed Wayne RESA to clearly demonstrate to the 33 superintendents, parent advocates, staff bargaining units and school boards that significant changes could be made in fiscal responsibility while allowing for an increase in student achievement and remaining in compliance with legal requirements. Wayne RESA, our local school districts and public school academies and mostly our students and families are indebted to the depth and quality of services provide by Futures Education. P. Edward Cancienne, Jr., Ph.D.
What does a school system do when a Special Education Department desires a boost in order to better serve the functioning levels of special needs students? This was a dilemma in our district. While functioning adequately, we were far from maximum operations. That’s when Futures Education entered the district. After a quick and thorough audit of the entire Special Education Department, a report was delivered outlining areas of celebration and areas that could be enhanced while revealing effective practices that could improve the district. Areas of opportunity for greater growth, function and efficiency were delineated. I am entering my third year in partnership with Futures Education. I have found the leadership team at Futures to be very responsive to the needs of my district with regards to staffing as well as professional development. The time is taken to ensure a “just right” fit is made when placing related service staff in my schools. I feel one of the biggest bonuses of working with Futures is their commitment to providing high quality professional development and support with continued training – not just for related services, but for principals and all special education staff in the district as well. The expertise and job embedded coaching that the team at Futures Health has provided has been pivotal in the implementation of effective co-teach practices in our district that has led to greater outcomes for all students. Arriving at the right solution requires experience, knowledge, and a vision for the desired outcome or goal. What Futures brought to our district, from my own experience, was their broad-based experience and knowledge; however, they didn’t stop there. Futures acknowledged, accepted, and beyond that, aligned our vision as a district for Co-Teaching with the services they provide. This was a precursor to the customized solutions Futures helped us to create, and it would not have been possible without Futures taking the opportunity to engage and collaborate with us. One of those solutions has been the providing of professional development for our teachers in the areas of Co-Teaching and instructional capacity. As veteran professionals in education, we know that launching and sustaining initiatives requires assembling together those that have a shared vision. Futures has been our partner in sharing that vision and continues to do so as our vision evolves to meet the needs of our scholars. I work like to take this opportunity to affirm the Futures Ed group for the work they have done with instructional staff and campus administrators in Grand Prairie ISD. The staff at Futures has made themselves available to the GPISD campuses that they are coaching by sharing their contact information and maintaining open communications and contact throughout the year for the campuses they have served in our district. It is a real comfort to campus administrators to have a specialist so readily available to them during our districts transition to co-teaching. 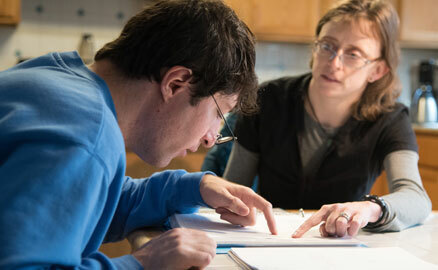 Upon first meeting my assigned faculty member, I was amazed by his great confidence and assuredness that he would be able to turn around the district Special Education Program. I was also very suspect of this possibility. Within two months of working together, he had a group of Principals and Instructional Leaders meeting and developing a Special Education Department Vision, Mission, and set of core values. His vast knowledge of research-based strategies assisted me in developing classroom expectations and norms for rigorous special education instruction. With the assistance of Paul’s direction and guidance, the department is now holding weekly leadership collaboratives and conducting monthly professional development trainings. Paul would always bring excitement when he came and keep me energized as we worked together tirelessly to move the department forward by developing a Special Education Handbook and specific procedures for implementation. 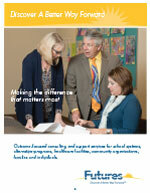 After only 18 months of working together, a major transformation within the Special Education Department has occurred. Many thanks to Futures for providing us with such a terrific mentor, coach, and most importantly friend. Building on district strengths and focusing on areas of needed improvement, almost immediate progress was seen in the department’s attitude. A consistent liaison from with particular content expertise in the areas of need from Futures Education was in the district each month and held phone conferences weekly. The Futures faculty member made himself available to advise, approve, prompt and support almost daily via text, email and phone. Because of liaison collegial, team spirit, and clear, concise communication, staff looked forward to his visits, utilizing every second of his presence to verify their work and follow his lead to better alternatives. Within only a few short months, staff performance was obviously improved. The Department functioned as a team under the expert tutelage. And best of all, teacher knowledge has improved, record keeping is on target, teachers are happy and students are progressing. Futures Education is an A+ company with an A+ staff. If you are searching for a results-based company to fortify your efforts in Special Education, look no further than Futures Education. FUTURES has been successful in recruiting knowledgeable high quality therapists from across the country to work in collaboration with District staff for the benefit of all of our students with special needs. It has become increasingly difficult for schools to attract and retain quality therapists to meet the speech, occupational and physical therapy needs of their students. 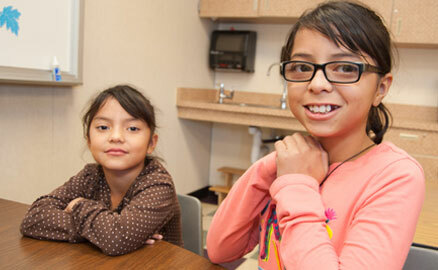 Sierra Vista Unified School District’s rural location intensifies this challenge. With FUTURES, we are fully staffed for related services for the first time in many years. FUTURES works closely with District leadership to develop strategies for meeting student needs using evidence-based practices within the limitations of District resources. This year we have expanded our contract to include School Psychologist services. As Superintendent of SVUSD, I am proud to be working with the quality leaders and professional staff members of FUTURES. Without hesitation, I am pleased to confirm that the partnership between the Blackstone Valley Vocational Regional School District and Futures Education has been highly beneficial to the district. Futures has assisted our school district in two categories. They have provided a thorough analysis of special education services to our diverse student population and have assisted in recruiting quality nursing services via a cost-effective subcontract arrangement. The Futures team are consummate professionals and well respected throughout the Commonwealth. Romulus Community Schools has been fortunate enough to receive staffing support from Futures for over 3 years. They consistently provide our district and students with professional and compassionate staff. I highly recommend this company to anyone in need of staffing support. I am the parent of Jayden Tolbert who is currently in the special education department at Law Academy and in the 6th grade. 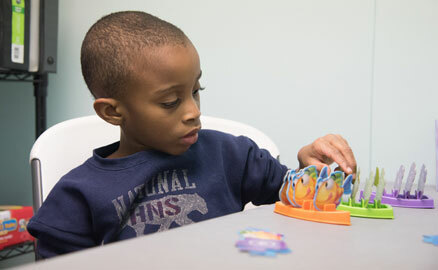 Jayden is diagnosed with Autism/Asperger Syndrome since the age of 4. It has been challenging to say the least but we have made great strides with the help of the right people in Jayden’s life. Jayden has received special services since he has been in school. I have seen so much progress with my son since Futures Education took over special education. Jayden is more responsible, attentive, has more patience, less tantrums, is on task with his curriculum, socially he is more outgoing, caring and just a more stable child since these last 2 years working with teachers from Futures. I definitely contribute it to the qualified and patient staff that works with my son daily. Jayden enjoys going to school and even looks forward to it. Not many parents can say that about their child. Our assigned therapist has been a blessing; she is dedicated to helping my child and the other children reach their goals and above. She is the first to push for my son to be mainstreamed. Every aide that has been in Jayden’s class has been caring, kind and patient but firm in their teachings. I love that about Futures’ staff. The leader of Future’s special education department is also very helpful in making sure that our children have whatever services and assistance they need. I feel so lucky to have such dedicated people supporting my son when he is in school because things have not always been so easy at other schools. It has been a long road but we now look forward to his future. I would like to take this opportunity to thank the professional staff of Futures Education for the time, effort, support and loving care given to my son Curtis Brent. Thanks to your staff he has made great improvements this semester that have impacted both our lives in a positive way. Much appreciation to you all. This is the parent of Nyomi Richardson and Reimora Richardson regarding the outstanding and excellent job Futures Education has done to educate my 2 children. Over the past few months they have really improved in many areas. Mr. B. of Futures Education is a wonderful, fun, and exciting teacher from the words of my children and also me. He pushes my children to be better and do better and that’s what I think sometimes it is all they need. I Darius Poindexter want to thank the Special Education team of Futures Education for providing my son Damian with academic support for making up classes that he has failed. Thanks for finding alternative methods for educating Damian in lieu of expulsion. Lastly, thanks for providing me with support by answering multiple questions that I had. I run a group of volunteers who come to Burns Elementary weekly to read with children and have been volunteering there for 5 years. Teachers recommend which children we should work with and we focus mostly on literacy. I wanted to let you know what a fantastic job Mr. Barnett of Futures Education is doing with the children at Burns. I have been working with a student on the autism spectrum for the past year. Our assigned therapist has only been working with this student for the past few months and I have seen significant progress due to his help. He has connected with Jim and has helped him stay on task. Jim was being suspended previously for behavior but has not been suspended since Futures has started working with him. I am very impressed with our therapists’ ability to connect with the students and positively motivate them. Jim is making progress in math and ELA and it is due to the work his therapist has done. Futures is very effective with children and should be commended for the job he is doing. Jim has huge potential to be successful, but just never has had personal attention and had greatness expected of him. It is great to see Jim finally get the help he needs to succeed academically. Everyone at Futures Education have been exceptionally helpful and supportive of my child’s needs. The paraprofessionals, social workers, and speech pathologists from Futures are a great team in helping my son progress. There were trying times at the beginning of the year but the team from Futures was tremendous with their efforts. I wanted to express how grateful I am for the special education program that Futures offered my children at Law Academy. I have two children in the ASD rooms at Law. My son is in a Futures’ class and she has pushed my son beyond my expectations. My son has been mainstreamed into regular education and is building long lasting and age appropriate relationships with his peers. He loves the structure of the classroom and the way his teachers and paraprofessionals from Futures work with him. They are constantly using positive reinforcements to keep him encouraged. Both team members from Futures have shown infinite patience and understanding for my son. I really appreciate them. My son is on the basketball team and the Coach has directed my son and given him confidence to participate and actually make the “All Star Team” in his league. This brings tears to my eyes to see how far my son has progressed. He was such a shy turtle and now he has been given the confidence to come out of his shell. My daughter is in another Futures’ class. She is an extension of me and my daughter is doing extremely well in her class. My child now holds eye contract with me when she talks to me. This may sound simple, but for a child with autism this is a very difficult task. She also is developing age appropriate relationships with peers. The paraprofessionals working with my daughter have become extremely important to her and they are able to positively reinforce and redirect my daughter and push her without force. 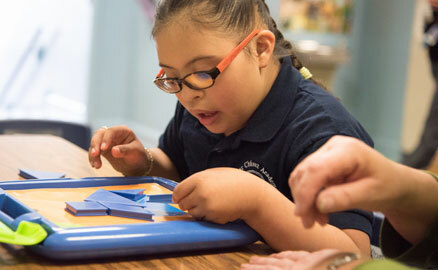 Her teachers and paraprofessional are turning her weakness in comprehension into her strengths. I can honestly say your special education staff is there for any kid anytime with any problem. Both of my children receive speech services from our assigned therapist from Futures. She has taught my children real world skills. She goes above and beyond her job title. The kids know they can count on her. She is very effective and I am grateful to have her on my children’s team! Futures’ motto should be “We turn children’s weaknesses into strengths” as this has been proven in my children’s test scores. When I first met the special education director at Futures, she asked me for 30 days to prove this was a good program for my kids. The road was bumpy at first but now I see constant growth in my children. Futures Education has been very important to me and to the growth of my children.